Elecktroid by AudioSpillage is a Virtual Instrument Audio Plugin. It functions as an Audio Units Plugin. Mac OS X 10.5 or higher. A fusion of drum synth and and drum sampler with a custom designed rhythm sequencer. 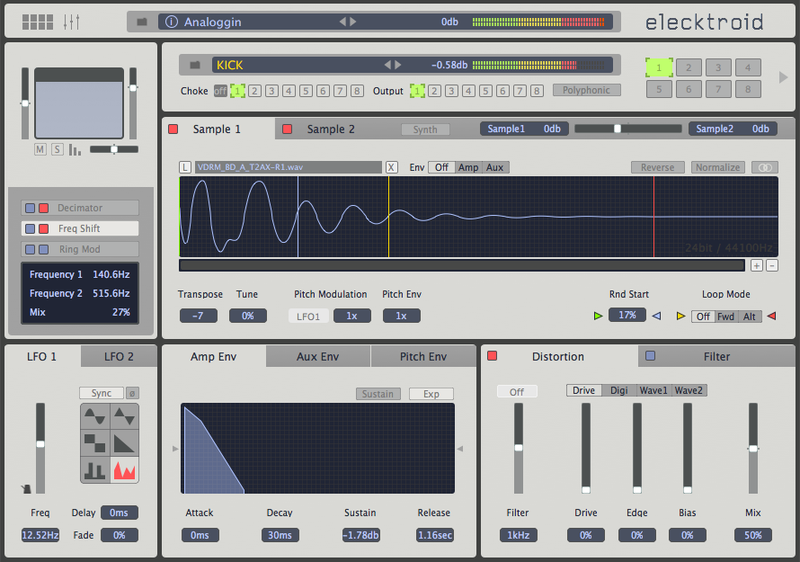 Elecktroid blends synthesis and sample playback in a single integrated package. Combine the depth and power of drum synthesis with your existing sample collections and sync both to a new rhythm oriented step sequencer with more than a few tricks up its digital sleeves. Pulsing away deep inside Elecktroid you'll find 4 of our exclusive drum synthesis models: BassDrum, WoodDrum, HiHat and Snare. The drum synths are 100% algorithmic and utilise high quality DSP code for a deep, powerful and punchy sound. The synthesis algorithms can be used as the basis of an entire rhythm track on their own or layered with samples to add weight, depth and character to your existing sound sets and rhythms. The backbone of Elecktroid is a high quality low CPU sample playback engine. Load up your favourite samples via the simple drag and drop interface. Refresh and re-animate your existing collection with the pitch envelope, modulation, distortion, filter and graphic loop editing capabilities. Elecktroid can velocity cross-fade between 2 samples per pad and accepts WAV, AIFF and CAF format files. 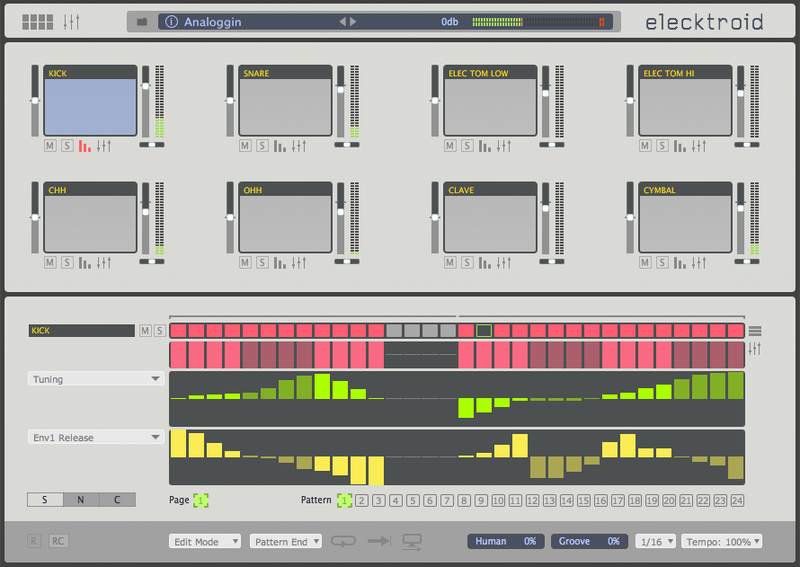 The new rhythm oriented step sequencer brings Elecktroid to life right inside your DAW. Forget about lifeless rhythms. Elecktroid features custom track lengths and step trigger probability controls opening the door to a world of non-repetitive poly-rhythmic beats. Inject groove and humanoid feel to suit. Elecktroid's sequencer is a resolution-independent design so patterns play at the correct tempo regardless of step length (16th, 32nd etc). Elecktroid also features graphic velocity and parameter control graph editing. 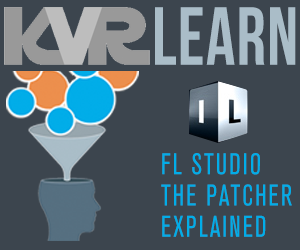 Full velocity and parameter control graph editing. Assign trigger-probability value to any sequencer step. Humanize and groove quantize control. 4 drum synthesis models (BassDrum, SnareDrum, WoodDrum and Hi-Hat). 1 sample and 1 drum synth per pad. Or 2 samples per pad (without the synth). Velocity cross-fade between sample and synth (or between 2 samples). Distortion, filter and lo-fi FX on each pad. 2 LFOS (6 waveforms) per pad. 3 ADSR envelopes per pad. Elecktroid by AudioSpillage is clever little AU drum machine plugin that combines big time synthesis and samples to create unique, great sounding drum sounds. 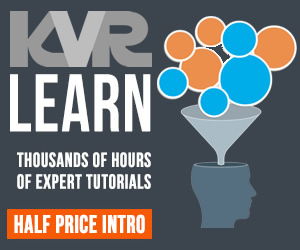 It contains 4 basic synth algorithms to build from, which can be mixed with your own endless supply of WAV or AIFF samples. I have a huge library from yesteryear so this plugin helps me make use of that wealth of madness by simply dragging and dropping. I've had great success synthesizing a smooth, crisp drum tone and then blending that tone with the attack of my dirty old samples via some simple cross-fading. 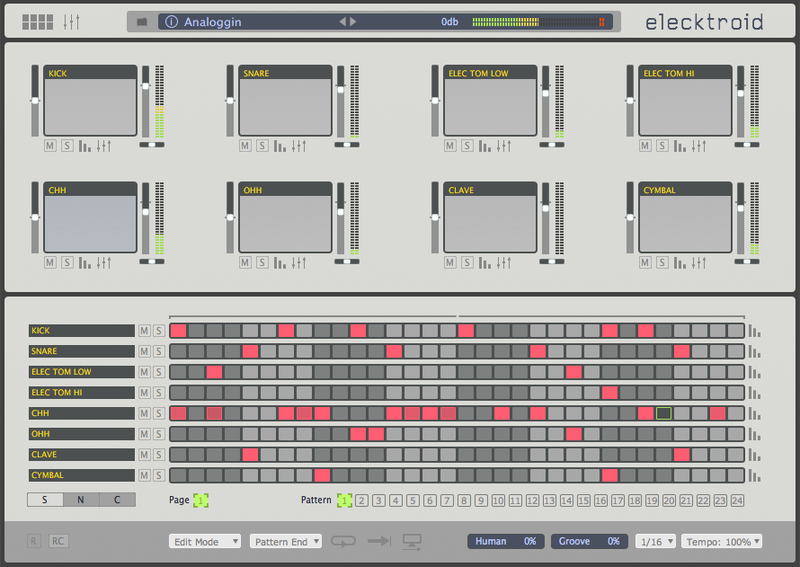 In this way, Elecktroid enables users and abusers to create one-of-a-kind drum sounds. I'm not a programmer, but from the look and sound of this plugin I'm sure a lot of thought and work went into developing it. The interface is clean, cool, and modern. The sound is whatever you want it to be. I read somewhere that the DSP code used helps to create a "deep, powerful and punchy sound." That's spot on! Another thing I really dig about this hybrid groove box is the low CPU hit. There is absolutely NO latency issue. Whew! There is an on board step-sequencer that has a sweet groove quantize control, but I rely on Five12's Numerology for sequencing, so I usually don't use this one. Still, it's useful for demoing newly created sounds. I should mention that Elecktroid works seamlessly in Studio One and Numerology — my hosts of choice. There is not much to complain about — this plugin is well designed and well thought out. I would, however, like to see more synthesis algorithms. The four included are sweet, but I have a sweet tooth and crave much more! Also, it would be nice to sync to host and drag n' drop feature or other way to transfer MIDI data from the sequencer to a host/DAW. All in all, this was a low risk purchase for me. It sells for very little money and delivers a lot of clang and bang for the buck. I would buy it again, and I highly recommend other electronic musicians and producers give it a go. I give Elecktroid 4.75 stars. Thank you AudioSpillage for developing such an innovative, inspiring, and much needed audio plugin! I'm loving this plugin. I hope it continues to develop into my go-to virtual drum machine! Hey, is AudioSpillage still in biz? I had high hopes for this.. .